A new piece for Foreign Policy’s AfPak Channel, looking at the flow of British jihadists to Pakistan. A number that seems to have decreased and that is clearly not being as directed or tapped into as it was before. While plots still pop up with links to Pakistan (something that is not that surprising when we consider the UK’s South Asian population), it is nowhere near numbers before. This all of course happens as Saajid Badat testified in NYC. More on that later. This year, the United Kingdom hosts the Olympic Games, and security services are on particularly high alert. Magnifying an already tense environment, the Tehreek-e-Taliban Pakistan (TTP) and then al-Qaeda released videos in the past few weeks, threatening the United Kingdom if convicted jihadists serving sentences in the U.K. are not treated better. The TTP threatened, “we will show them how we take revenge for the mistreatment of our brothers.” Are these just empty threats, or are they, in fact, causes for genuine concern for British security services? The first video threat was a speech by Waliur Rehman Mehsud (TTP’s deputy leader and a regular spokesman), who told British authorities to take better care of the jihadists that it was holding in prison, specifically highlighting the cases of Roshonara Choudhry, the woman who tried to kill a member of Parliament for his support of the Iraq War after watching Anwar al-Awlaki videos; Dhiren Barot, the Hindu convert who fought alongside Pakistani militant group Lashkar-e-Taiba, wrote about his experiences in a book, and was later arrested as part of a cell plotting unspecified attacks in the U.K.; and Bilal Abdullah, the Iraqi doctor who was jailed for first leaving a set of car bombs in central London in 2007, and then driving a jeep laden with explosive material into Glasgow airport. All three are serving long sentences in the U.K., and Barot and Abdullah have been linked to al-Qaeda Central to al-Qaeda in Iraq respectively. Two weeks later, al-Qaeda released a statement telling the U.K. not to extradite Abu Qatada, the Jordanian-Palestinian imam who was one of the cornerstones of Londonistan, to Jordan. Though he has not been convicted of any offenses, security services have repeatedly highlighted his menace, and in March 2004 a British high court judge described him as “very heavily involved, indeed at the center in the United Kingdom of terrorist activities associate with al Qaeda. He is truly a dangerous individual.” He is currently still battling his extradition to Jordan on charges linked to a plot in that country from around the Millennium. In the statement, al-Qaeda demands that the British government send the cleric to one of the Arab Spring nations instead of Jordan. This threat was followed soon afterwards by similar messages from al-Qaeda’s Iraqi affiliate (the Islamic State of Iraq), and another by al-Shabaab (the Somali group that recently pledged allegiance to al Qaeda). Neither of these statements is in fact very new: TTP and Waliur Mehsud have repeatedly threatened the West, and have been linked to terrorist plots in Europe and America. Similarly, in June 2009 al-Qaeda in the Islamic Maghreb (AQIM) demanded the British government release Abu Qatada, and executed captive British citizen Edwin Dyer when British officials refused to comply. Whether al-Qaeda militants in Pakistan are currently holding any British prisoners they can use as leverage this time around is unclear, but given the long-standing connection between jihad in Pakistan and the United Kingdom, British services will be watching these messages closely. 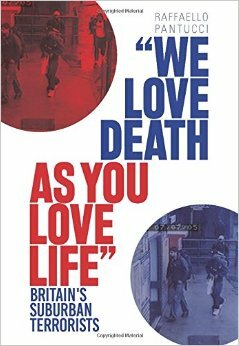 Whilst the British-Pakistani terrorist connection is no longer what it was — a source of most of Britain’s domestic terrorist plots as young British men went to fight in Afghanistan and were re-directed back home to carry out attacks — it has not completely dissipated. Earlier this year, a group of nine men pled guilty to a plot to plant a bomb in the London Stock Exchange. Four were directly implicated in the bombing plan, while the others were fulfilling a series of subsidiary roles, including developing a training camp in Pakistan that they could turn into a location for British citizens to prepare for jihad. And later this year we will see the trial of a group of Pakistani-Britons arrested in Birmingham last October. The group of seven has allegedly been linked to training in the AfPak region, and were reported to have recorded martyrdom videos. And these allegations are merely the most recent in a long list. British intelligence officers have broken up other cells containing individuals who have gone abroad to seek training, and their early intervention prevented the plots from advancing much beyond this point. And at least four British citizens have fallen foul of drone strikes in Waziristan since October 2010. But the stream of money and fighters (according to British intelligence, prior to 2002 some 3,000 British citizens had gone to fight) that used to go back and forth has now died down to a trickle. Clearly, some sympathy still exists amongst Britain’s South Asian community for what many see as the plight of their brethren at home, but the number of young men willing to go fight alongside militants there has fallen. The intelligence community is unwilling to specify publicly, but told journalist Jason Burke that “never more than a few score in any one year, their number [of young Britons going to fight in South Asia] has now been reduced to a handful.” This has likely stunted the capacity of al-Qaeda and its affiliates to launch attacks in the United Kingdom with much ease. This is not to say that the U.K. is not a target – these latest statements are testament to the country’s continued presence on group’s priority list – but militants are now likely find their plots more difficult to put into action. What is unclear is whether this difficulty of moving into action is a result of a lack of willingness from recruits or whether it is a lack of capacity from al-Qaeda to be able to manage plots and networks launching strikes abroad. According to a series of documents believed to be from al-Qaeda Central that were obtained by German security forces when they arrested a pair of fighters returning from Waziristan last year, al-Qaeda used to have a capacity to manage large networks of plotters in the United Kingdom using operational managers in Waziristan, who were in close contact with the cells on the ground. This capacity seems to have gone away, with the group taking a far more hands-off approach to managing cells. In neither of the aforementioned British plots (that on the London Stock Exchange and that involving a Birmingham cell) was there, from information currently available, evidence of management by al-Qaeda Central of the plot on the ground. The last major set of plots with a key manager in Waziristan were concocted by a group disrupted in northern England in April 2009 (who were allegedly planning a campaign in northern England), another cell led by Najibullah Zazi stopped in September 2009 in New York (one of whom is currently on trial in New York), and then in July 2010 in Norway (when a group of three was planning an unspecified attack in Oslo using hydrogen peroxide based bombs). Since then, we have seen an increasingly loose set of individuals dispatched from Waziristan to the West (and in particular the U.K.) to attempt to carry out terrorist attacks. Some sort of network of people going back and forth from the U.K. continues to exist – it was only July last year that British Special Forces in Herat detained a British couple who had snuck into Afghanistan and were allegedly trying to connect with extremists to launch an unspecified attack either in Afghanistan or back in the U.K. The couple, at least one of whom was a British citizen, is currently in Afghanistan in unknown circumstances, having been released by British forces. However, we are no longer seeing the sorts of large-scale plots with connections right to the top that we saw coming along the British-Pakistani pipeline in the early/mid-2000s. All of this suggests both a lowering in the volume of individuals going back and forth, and a degradation of the capacity of al-Qaeda or others in Afghanistan and Pakistan to effectively manage such individuals and turn them into operational cells. The days of the British-Pakistani connection’s role as the primary source of the terrorist threat in the West appear to have passed. A new piece for Foreign Policy’s AfPak Channel, this time looking in some detail at a plot that was disrupted in the UK last week. The chaps are about to get sentenced this week, and I may cover another aspect of this in another upcoming piece some point soon. On another note the friendly team at the International Center for the Study of Terrorism (ICST) at Penn State recently used my old article looking at Abu Hamza and Omar Bakri Mohammed and their links to terror plots as the basis of a statistical analysis exploring what information can be drawn when using network analysis models on the data I had gathered. A fascinating idea and I was very pleased to see it had sparked off such interest in them, and in such a prominent journal! Unfortunately, the article is behind a firewall, and here is the link…. Just over a year ago a group of twelve men were arrested as part of a long-term investigation led by British intelligence agency MI5 into a network of cells of British Muslims suspected of plotting acts of terrorism. Last week, just as the jury trial was about to get underway, the nine defendants eventually charged in the case chose to plead guilty in the hope of getting reduced sentences. Codenamed Operation Guava and featuring British radical groups, the Internet, Inspire magazine, training camps in Pakistan, prison radicalization and a mysterious character known as “the Bengali,” this case brings together a number of different strands in British jihadist terrorism. The various cells of the plot met independently in their various locations before connecting nationally through radical networks, Dawah (proselytization) stalls run by extremist groups in cities like Cardiff and webforums like PalTalk. They had all met together in person just a couple of times. The prosecution characterized Mohammed Chowdhury of London as the “ring leader” of the network, though it seems to have been less structured than that. The Stoke group in particulardeveloped plans on its own to carry out a bombing campaign in Stoke, and were eager to recruit more members and train in Kashmir. Stories in the media indicated that members of the Cardiffand Stoke groups had been seen at meetings and protests organized by successor groups of al Muhajiroun (the infamous group established in the late 1990s by a cleric now-banned from Britain, Omar Bakri Mohammed). And a picture has emerged of central plotter Mohammed Chowdury holding an Islam4UK placard at one of the organization’s events (Islam4UK was a name adopted by al Muhajiroun after a former appellation was added to the list of proscribed terror groups by British authorities). While the role of al Muhajiroun — or whatever the name of the successor group may be; at other times they have used the names Saved Sect, al Ghurabaa, Muslims Against Crusades, and the one in vogue currently, Ummah United — as a radicalizer in networks that have produced terrorists has somewhat receded from that of its heyday, this plot showed the potential risks that still linger from the network. Neighbors of the men detained in Cardiff reported that some members of the group had apparently served time in prison, where it seemed they had picked up radical ideas. A longstanding concern of Western authorities, the potential for prison radicalization had already reared its head this year in the U.K. when it was revealed last month that a British man who had been converted while serving in Feltham Young Offenders Institution was a key figure in an alleged terrorist plot that was disrupted in December in Mombasa, Kenya. He was not the first terrorist to have done time in Feltham; both ‘shoe bomber’ Richard Reid and leader of the July 21, 2005 follow-up attempt to attack London’s underground system, Muktar Said Ibrahim, passed through their gates. But the element that has caught the most media attention is the group’s use of AQAP’s English-language jihadi manual Inspire. The group had downloaded copies of the magazine and were apparently following its advice in trying to plan a terrorist plot. They discussed the idea of copying the parcel bombs sent by the group in October 2010 and using the Royal Mail or DHLto send bombs within the United Kingdom. Where they were planning on sending them was hinted at in a list they had compiled of the addresses of London Mayor Boris Johnson and at least two prominent British rabbis. Members of the group were also trailed as they reconnoitered a number of locations in London, including the London Stock Exchange, the London Eye, Westminster Abbey, the Palace of Westminster, Houses of Parliament, Blackfriars Bridge and the Church of Scientology. The Stoke group discussed leaving bombs in local pubs and clubs. They seemed to have taken Anwar al-Awlaki’s injunctions (of which they had collected substantial amounts) to heart, and were eager to strike in the West at any targets that they could find. But the group also appears to have maintained some connections with more classic aspects of theBritish jihadi story, and sought to train abroad in Kashmir. Initially, they claimed that their meetings were to find ways of raising money for Kashmir. Indeed, the Stoke group (predominantly made up of Pakistani-Britons, unlike the London and Cardiff groups, which were made up of Bangladeshi-Britons) had decided to travel abroad to obtain training and had already funded the construction of a madrassa in Kashmir that they spoke of using as a training camp for British radicals. Furthermore, they made connections to a mysterious figure named in court only as “the Bengali,” after which they had moved forward with putting their ideas into practice, scoping out targets and trying out making bombs. This plot is not the only one currently making its way through British courts. Late last year, police in Birmingham arrested a group they claimed had discussed suicide bombs and had allegedly made connections with groups in Pakistan. Operation Guava’s significance lies in the fact that it brings together a number of different strands in current counter-terrorism concerns in the UK, creating a complex hybrid plot that seems to have been hatched and conceived entirely at home. A textbook example of Leaderless Jihad. Raffaello Pantucci is an Associate Fellow at the International Center for the Study of Radicalisation (ICSR), and his writing can be found: http://www.raffaellopantucci.com.